Bottle shop bar from the excellent Mother Kelly’s. 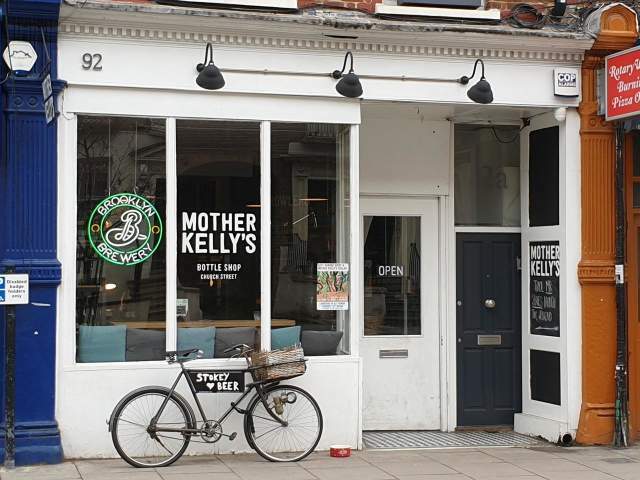 This one’s a real gem: a gorgeous, cosy bottle shop with on-site drinking, this Mother Kelly’s is much more bottle shop than bar, but nevertheless provides an excellent place in which to enjoy a high quality beer. Check out the impressive cold room down the back. NB: card only, no cash.